Under the Education Act 2002 (Section 175), schools must make arrangements to safeguard and promote the welfare of children. Parent/carers should know that the law (Children Act 1989) requires all school staff to pass on information which gives rise to a concern about a child’s welfare, including risk from neglect, physical, emotional or sexual abuse. The staff will seek, in general, to discuss any concerns with the parent/carer, and where possible, seek their consent to a referral to Social Care. This will only be done where such discussion will not place the child at increased risk of significant harm. Schools will seek advice from Social Care when they have reasonable cause to suspect a child may be suffering or likely to suffer significant harm. Occasionally, concerns are passed on which are later shown to be unfounded. 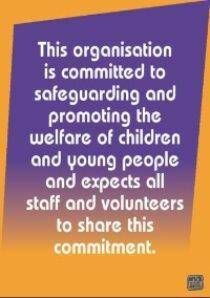 Parents/carers will appreciate that the designated person for child protection was carrying out their responsibilities in accordance with the law and acting in the best interests of all children. As we all know the subject is extremely emotive. For example how much do we/should we tell children if they ask direct questions on personal issues or issues relating to the news, how do we get the balance between informing and scaring and how do we address the misconceptions of stranger danger? In school we do regular safety assemblies. We may discuss a whole range of scenarios asking the children what they would do in that situation. We also discuss situations that can happen in a school, for example if a child is not picked up, if someone they do not know tries to get into school etc. We think that it is important that children are made aware of some of these issues and that these issues are discussed in the safety and security of the school setting. We also feel that it is important that they know some strategies to help, know that it isn't their fault, know that they must tell someone and who that someone may be. We do emphasise to the children that these situations are very rare. Part of our curriculum is teaching Protective Behaviours. This is a county wide initiative designed to help prevent abuse and harm to children. Do not teach children not to speak to strangers or that strangers are dangerous, they are sometimes the only person who can help. We teach our children about safe strangers, eg if lost find a shop assistant, a mum with children etc.